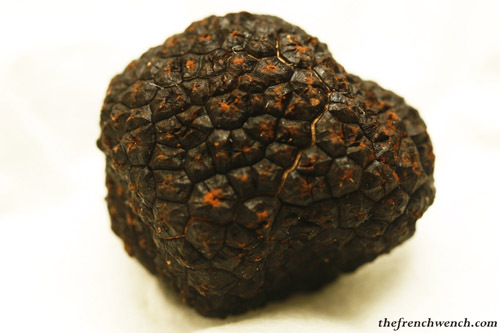 This baby comes from Western Australia and is a Black Truffle (Tuber Melanosporum), the equivalent of the French Perigord Black Truffle. 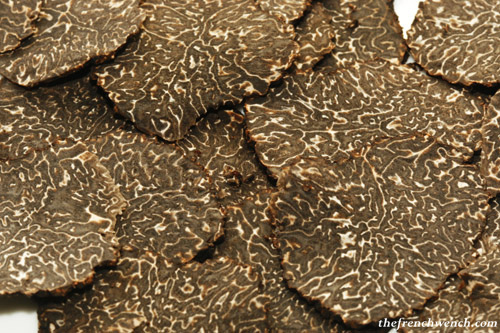 It is the only variety we can find at the moment in Australia, except for a small production of White Summer truffles (Black outside, White inside). 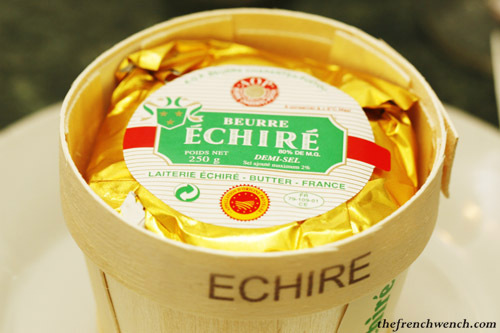 For those who have never tasted truffles, they taste like… well, earth. Doesn’t sound too appealing put this way, I know, but their scent is so strong, heady and musky… it’s like nothing else I have ever tasted! It drives pigs crazy, they can’t get enough of the stuff! Humans are crazy about them too, and even a hefty price (between $2,500 – 3,500/kilo) is not enough to deter them. I start melting the butter in the pan with all the truffle bits leftover from shaving the truffle (I used a vegetable peeler knife). 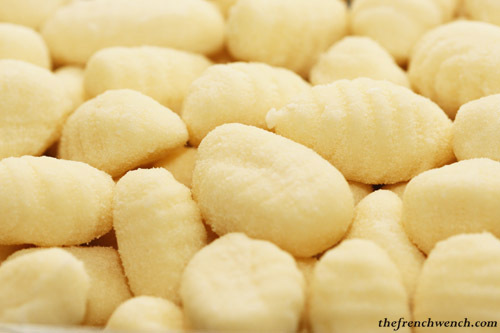 When the butter is melted and going brown, I stir in the gnocchi I have previously cooked in boiling water for 1 minute or so, so that all the gnocchi are glistening with butter. 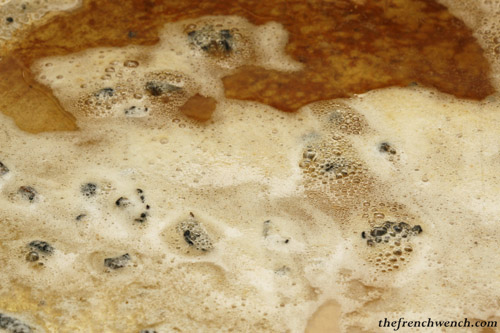 I stir them in the pan for a couple of minutes to give them a bit of crisp and plate them. A bit of salt, pepper, a nice dose of grated parmesan cheese (truffles and Parmesan get on marvelously well), et voilà! 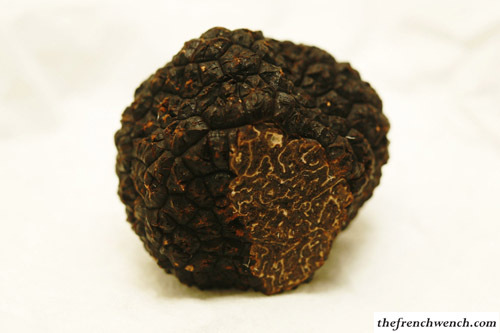 Even though truffles are dangerous due to their highly addictive character, I would strongly recommend that you taste them at least once in your life: this is as close as food heaven as you will get! The first who answers correctly wins! 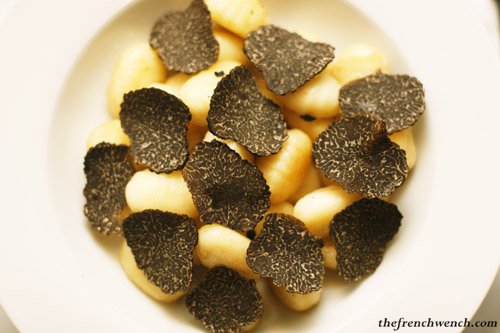 This entry was posted in Recipes and tagged Butter, Gnocchi, Gourmet Rabbit, Melanosporum, Recipe, Truffles, Western Australia. Bookmark the permalink. 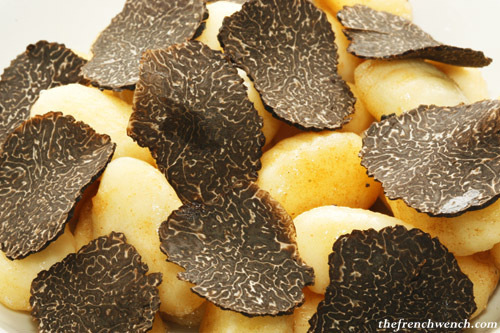 Truffle serve with gnocchi and brown butter, so simple yet so decadent, I love black truffles. The simple things in life are often the most pleasurable. I think the answer is the black truffle or tuber melanosporum. 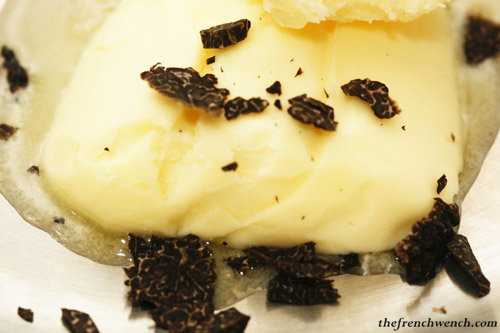 Is it the Summer Truffle or the Tuber Aestivum Vitt? Yay, Chelle, you won!!! Please send me your details at thefrenchwench@yahoo.com so I can pass them on to Gourmet Rabbit, thank you for participating! 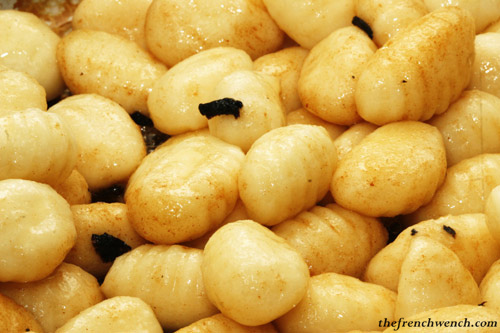 That looks like an amazing way to enjoy gnocchi.